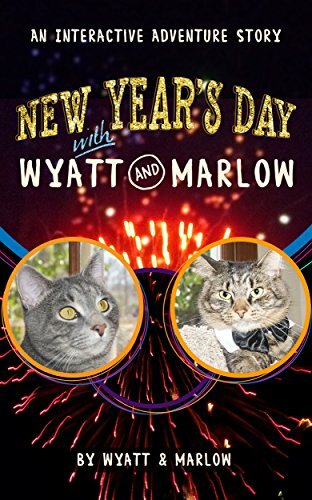 It’s New Year’s Eve – and *you* get to experience the holiday as either Wyatt or Marlow, two social media cats. Who will you choose? And what will you do all day? This is an interactive adventure, where you will select what action the cat will take throughout the day!